I'm delighted to have Judy Croome here, author of Dancing In The Shadows Of Love. This is one of my favourite books of 2011 and if you're looking for a read that explores the depths of love and friendships, then I'd definitely recommend this one for you. I originally started writing romances and completed six full length romances. The last two both went through several rounds of editing with a major international romance publisher. One was finally turned down and, by the last set of edits for the second manuscript, I’d changed so much as a writer, that I made the decision to not pursue a career as a romance author. I just read them for relaxation now! I still write about the human search for love, though, because Romantic Love is not the only type of love that exists. When I write now, I just approach the search for love from a different angle. So what is Dancing in the Shadows of Love all about? In the haunting “Dancing in the Shadows of Love,” three emotionally adrift women fight to heal their fractured worlds. Not everyone can be a hero. Or can they? The story explores the sacrifices people make in the pursuit of a love that transcends everyday existence. Lulu’s quest, and that of Jamila and Zahra too, is to find the divine love that will fulfil their hopes and save their souls...if they can recognise the masks of those who seek to lead them astray. You can watch the book trailer or read an interview with me about the book or read an interview with the cover artist Wenkidu or read chapter one. I’m also currently building a dedicated blog which will provide book club questions, discussions of themes and other interesting titbits about the story. Do you remember Dumbo, the Flying Elephant? Walt Disney created this cute little elephant with these HUGE ears. I often drift off into a world of my own and then, when I come back, I realise I’ve missed out on some interesting conversation and say, “What did I miss? What did I miss?’ It can be irritating. One day a friend said that, when I sit up all round eyes and big ears flapping, I reminded him of Dumbo. I was called Dumbo for a long time after that! A bride! I was nuts about brides. Still am. And 2011 has been a feast of TV viewing for me with all the beautiful royal brides, especially South Africa’s own Charlene Whittstock who recently married Prince Albert of Monaco to become Princess Charlaine. Right where I’m living now: Johannesburg, South Africa. Okay, perhaps I’d move to Stellenbosch in the Cape, so I can be near mountains and get out of the big city. But, South Africa is so vibrant, so full of hope and potential, it’s the only country I could ever imagine myself living in. Thomasina, by Paul Gallico. Thomasina was a cat, so there’s no real surprise there! 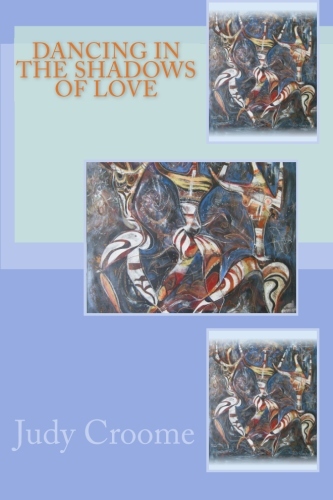 “Dancing in the Shadows of Love” is available as both a print and eBook from Amazon.com, and as an eBook from Barnes & Noble and Smashwords. Judy, It's interesting to see how you made the switch from writing romantic fiction to general fiction. I'm glad the switch worked well for you. You're book is certainly interesting. Claire, thanks for a great interview. CLAIRE: Thanks for hosting me here! KIRU: The switch was quite painful because for so long I'd had my heart set on being a romance author, and I slowly came to realise that my natural writing voice wasn't romantic. My writing has gone in unexpected directions so it's been an interesting journey. Thanks for stopping by Judy, it's lovely to hear how your writing journey evolved. Hi Claire- Thanks for the interview. Hi Judy- great to read your interview. I think finding your writer's voice is an important part of the writer's journey. I've recently gone from romance to mystery and I think it's the right place for me.